Since the Zimmerwald Conference in September, a split has formed in international socialism. On one side stands the International Socialist Bureau, an organization associated with the Second International and led by Secretary Camille Huysmans, a Belgian. 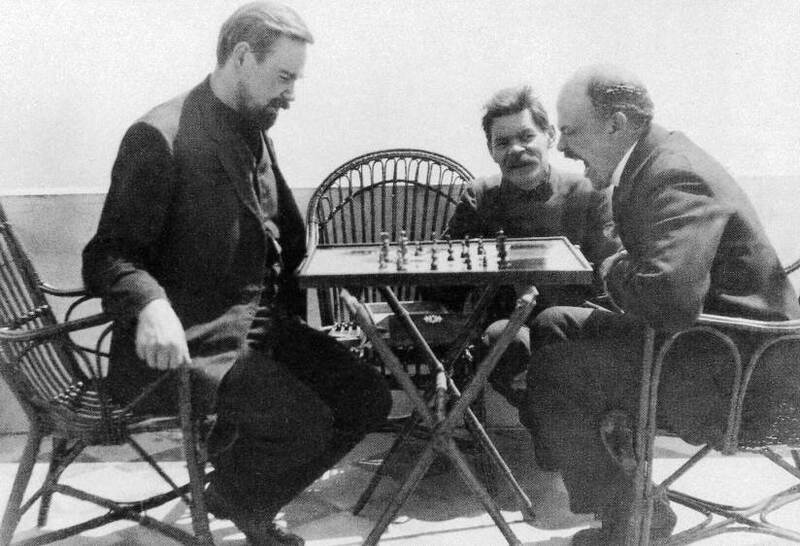 On the other side stands Russian expatriate Vladimir Lenin (above right, playing chess in 1908), a fierce critic of the Second International who sees the International Socialist Commission created at Zimmerwald as the seed of a new Third International. Lenin wants to supplant a movement in disarray over competing nationalist outlooks on the war. Holding a session of his competing faction today in neutral Berne, Switzerland, Lenin once again denounces the Second International for falling prey to capitalist warmongers. Comrades! The European war has been raging for more than eighteen months. And as each month, as each day of the war goes by, it becomes clearer and clearer to the masses of the workers that the Zimmerwald Manifesto expressed the truth when it declared that phrases about “defense of the fatherland” and the like are nothing but capitalist deception. It is becoming more evident every day that this is a war between capitalists, between big robbers, who are quarrelling over the loot, each striving to obtain the largest share, the largest number of countries to plunder, and the largest number of nations to suppress and enslave. 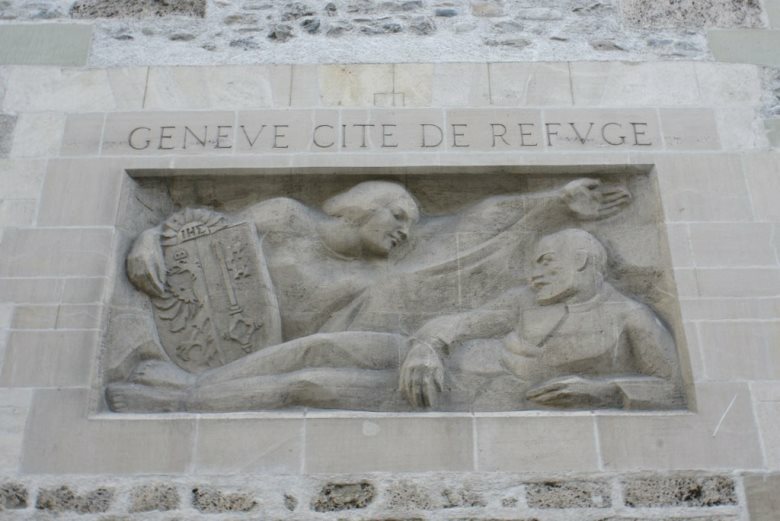 It may sound incredible, especially to Swiss comrades, but it is nevertheless true that in Russia, also, not only bloody tsarism, not only the capitalists, but also a section of the so-called or ex-Socialists say that Russia is fighting a “war of defense,” that Russia is only fighting against German invasion. The whole world knows, however, that for decades tsarism has been oppressing more than a hundred million people belonging to other nationalities in Russia; that for decades Russia has been pursuing a predatory policy towards China, Persia, Armenia and Galicia. Neither Russia, nor Germany, nor any other Great Power has the right to claim that it is waging a “war of defense”; all the Great Powers are waging an imperialist, capitalist war, a predatory war, a war for the oppression of small and foreign nations, a war for the sake of the profits of the capitalists, who are coining golden profits amounting to billions out of the appalling sufferings of the masses, out of the blood of the proletariat. Four years ago, in November 1912, when it had become clear that war was approaching, the representatives of the Socialist Parties of the whole world gathered at the International Socialist Congress in Basle. Even at that time there was no room for doubt that the impending war would be a war between the Great Powers, between the great beasts of prey; that responsibility for the war would rest upon the governments and the capitalist classes of all the Great Powers. The Basle Manifesto, which was adopted unanimously by the Socialist Parties of the whole world, openly stated this truth. The Basle Manifesto does not say a word about a “war of defense,” or “defense of the fatherland.” It castigates the governments and the bourgeoisie of all the Great Powers without exception. It said openly that war would be the greatest of crimes, that the workers would consider it a crime to shoot at each other, that the horrors of war and the indignation these would rouse among the workers would inevitably lead to a proletarian revolution. In Russia, from the very beginning of the war, the workers’ deputies in the Duma waged a determined revolutionary struggle against the war and the tsarist monarchy. Five workers’ deputies — Petrovsky, Badayev, Muranov, Shagov and Samoilov — distributed revolutionary manifestoes against the war and energetically carried on revolutionary agitation. Tsarism ordered the arrest of those five deputies, put them on trial, and sentenced them to lifelong exile in Siberia. For months the leaders of the working class of Russia have been pining in Siberia; but their cause has not gone under; their work is being continued by the class-conscious workers all over Russia. The arrests of those workers’ deputies demonstrated that institutions which might have moderated the worst excesses of the Tsar’s regime were incapable of doing so. An autocrat, the Tsar has eviscerated the power of the Duma to even help manage the ‘war effort’ in Russia, while his presence at Army headquarters has left the nation’s governing apparatus in obsequious hands that are not up to the task of solving Russia’s burgeoning food and production crises. A vacuum of power is forming at the factory level and in the streets, and Lenin’s Bolsheviks are eagerly organizing to fill the gap. But instead of citing their example, today Lenin turns to the work of socialists in the United States for inspiration, comparing perennial socialist presidential candidate Eugene V. Debs to the heroic German socialist and pacifist August Bebel. As his rivalry with Huysmans and the International Socialist Bureau deepens throughout 1916, Lenin is already being quietly financed by German agents who see him as a potential weapon against the Russian monarchy. He will not realize his dream of global proletarian revolution resulting from the conflict, but Lenin will nevertheless return triumphant to Russia at German instigation, secure his revolution, and light the beacon of a Third International calling for a worldwide class struggle.